We wanna go ahead and apologize for the lack of posting that’s gonna happen this week. As you could probably expect, we’re up to our ears in stuff we gotta get done and taken care of. It is the week of the freak after all. We’ve been mentioning this one for a little bit, but it’s time to unload the whole deal on you bebes. 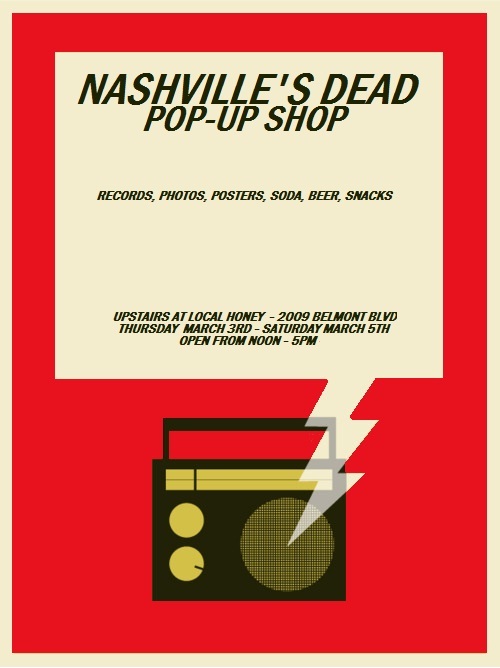 We’ve teamed up with our favorites at Local Honey to put together our first ever pop-up shop. A pop-up shop means we’ll setup shop for a couple days and then we’ll be gone. So come while we’re there and party with us. We’ll be selling lots of records and photo prints and posters and stuff. And we’ll have some sodas and snacks and stuff. Keep in mind that it’ll be cash only, but there’s an ATM right next door. Click down there for a whole list of the stuff we’ll be selling….